PoreInfusion Spot Treatment Mild contains micronized benzoyl peroxide combined with Sulfur. 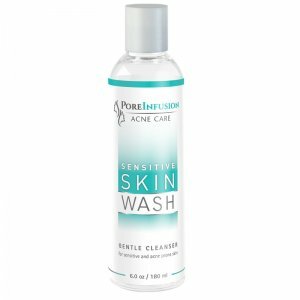 The combination of these 2 active ingredients will help destroy bacteria and dry up inflamed pimples and cystic breakouts. Sulfur acts as a mild antiseptic that helps disinfect the skin. 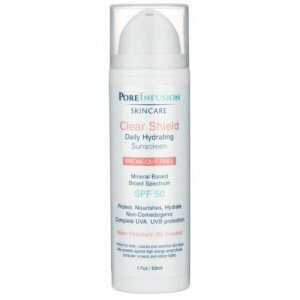 By helping dry out problem areas it also promotes the exfoliation of pore-clogging dead skin cells and excess oil. 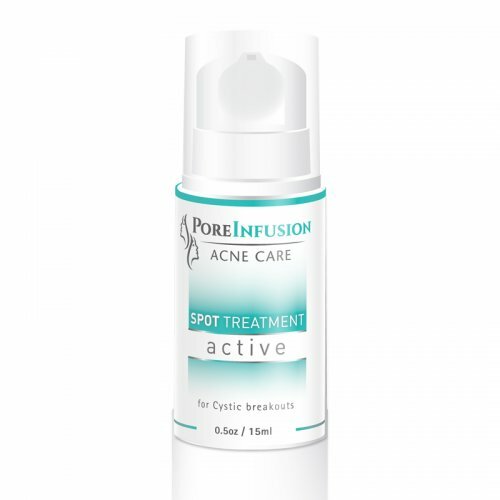 Recommended for: Use on inflamed and cystic breakouts as a spot treatment. Directions: Only use it at night. 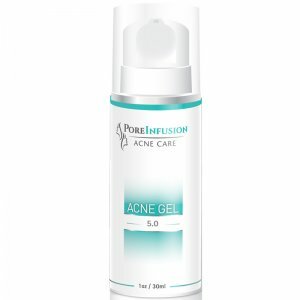 After applying Hydra Gel and Acne Gel dispose a small amount on the tip of a Q-tip and apply it on the pimple. Do not rub it in the skin. Let dry and wear it overnight. 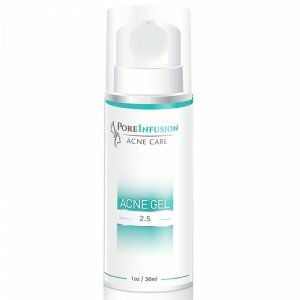 To increase effectiveness ice the pimples for 2-3 minutes before applying the product. Caution: Do not use if you are allergic to sulfur! It may cause dryness or light flaking. It may bleach fabrics. Do not use around the eye area. 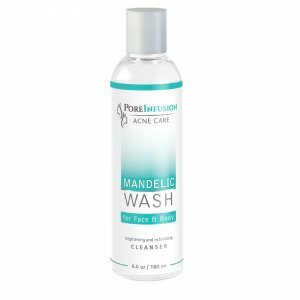 If burning or irritation occurs rinse it off immediately.